Paradigm Learning collaborated with a small team of directors at the hospital, including the hospital president, to create customized activities to be woven into the Zodiak®:The Game of Business Finance and Strategy simulation and used in follow up communications, along with a custom Business Model graphic that displayed the flow of cash and assets throughout the hospital. The Paradigm Learning design team conducted presession interviews and assessments to benchmark participants’ prior knowledge of business acumen, hospital finances, and the hospital’s specific strategies, and then used that information to create teams with a diverse level of experience, prior knowledge, and from different departments in the hospital. These teams participated in the Zodiak Healthcare session and reported an average knowledge increase of 37% as a result of the day. Follow up communications after the session provided sustainable tools for these managers to use independently in meetings with their direct reports in an effort to cascade a sense of business acumen and strategic accountability throughout the organization. Paradigm Learning also provided participants with a downloadable e-publication of key terms that they reported useful and helpful during budget conversations, meetings with hospital directors, and when making decisions that affected the hospital’s bottom line, such as hiring or replacing a staff member. Due to the hospital president’s communicative and transparent leadership, the managers who experienced Zodiak were very strategy-focused and results-driven in their approach to their actions outside of the classroom, which fueled participants’ desires to see their ZPlans through to completion and ensure their plans made an impact. Only 7% of employees fully understand their company's business strategies and what's expected of them in order to help achieve company goals. 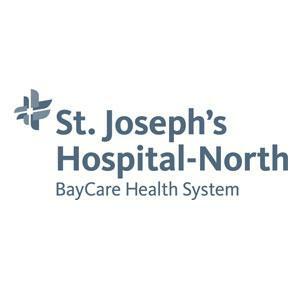 See how learners at St. Joe's Hospital-North experienced our solution. The Manager of Interventional Services at North initiated meetings across departments to put her Z-Plan into action. Her plan to contribute includes reducing the average Length of Stay and requires the collaboration of several nursing units and eventually, physician alignment. She is well underway with her action steps and targets three months after the Zodiak session for the completion of her plan. A Nurse Manager and Assistant Nurse Manager created ZPlans that would directly contribute to decreasing length of stay in their units by implementing earlier-than-usual multidisciplinary bedside rounds that prepared the patient and staff for discharge and sought to address discharge hang-ups before they happened. The multi-disciplinary rounds have been going on for some time, but these two leaders have been working toward making those rounds happen earlier, so that the patient can be discharged just 90 minutes after the physician writes the discharge order. By ensuring that patients have logistics settled and details addressed well in advance, they can make that 90-minute window happen consistently. The Nurse Manager reported that one of her units had a reduction in length of stay in May and June. The unit’s length of stay in July showed no change, but the rest of the hospital increased in length of stay in that month. She expects to see the same results when the other unit goes live. 71% of companies with above average employee commitment had greater one-year revenue growth relative to their industry.